Come by and visit the Options Community Garden. Individuals interested in gardening or volunteering should contact Sarah Small or Diane Dahlgren at (541) 476-2373 for more information. 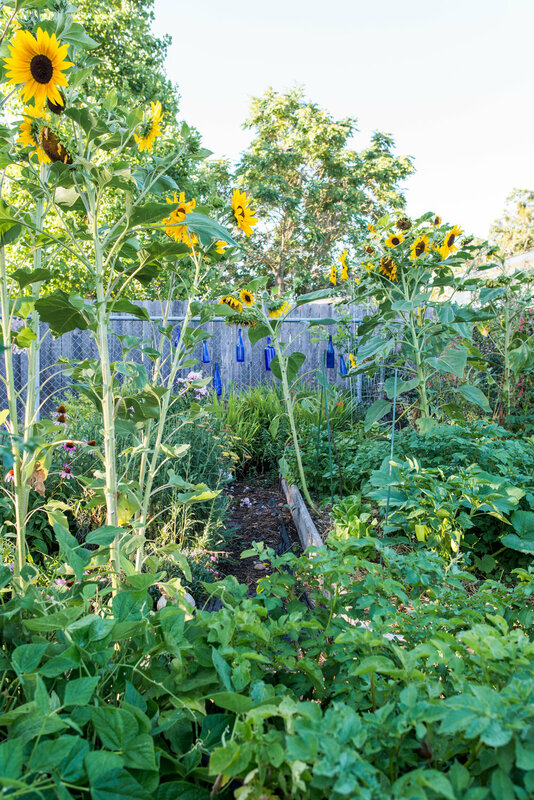 The garden provides 29 plots, available to individuals and nonprofit organizations at a nominal annual fee of $25. The fee covers ongoing expenses such as water and routine maintenance. Some of the plots are held as "scholarship" plots. The Community Garden was made possible through a grant from the Four Way Community Foundation, many business partners, and local community members. We would like to thank our wonderful neighbors for their help in maintaining our beautiful garden. Applications can be downloaded here or are available at our Administrative office.